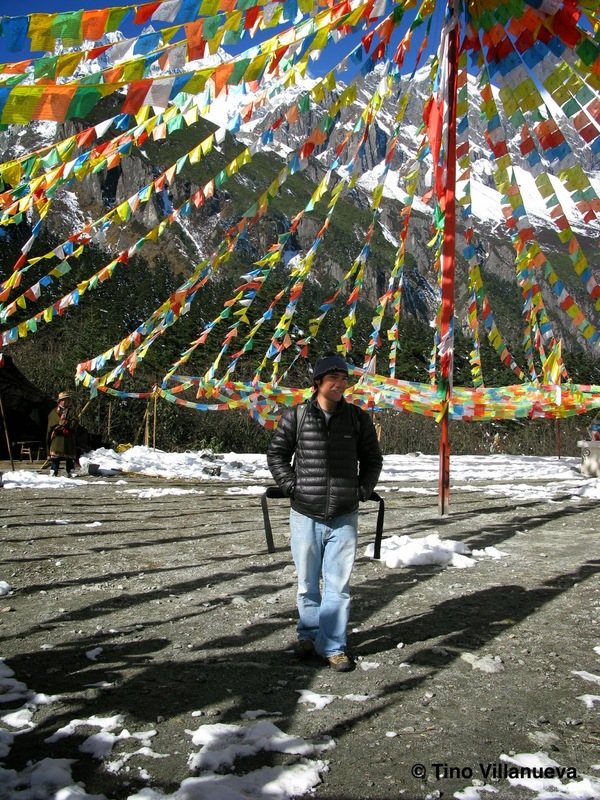 Dave Campbell approaching Siguniang Shan, in the Qionglai Range of Sichuan, China in 2007. This was my first big expedition in a foreign country. 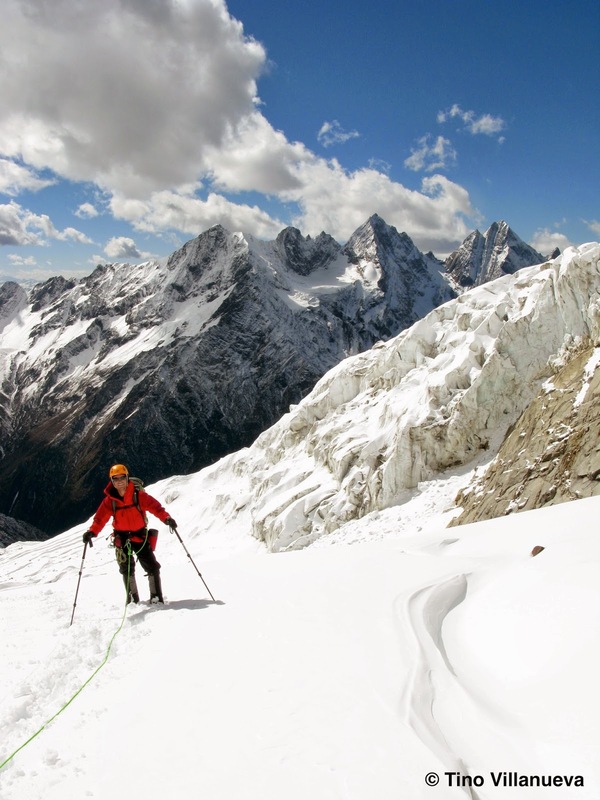 Dave climbing on the Siguniang Expedition. When I think about this trip, I am reminded of how little I knew about what to expect in this kind of journey. 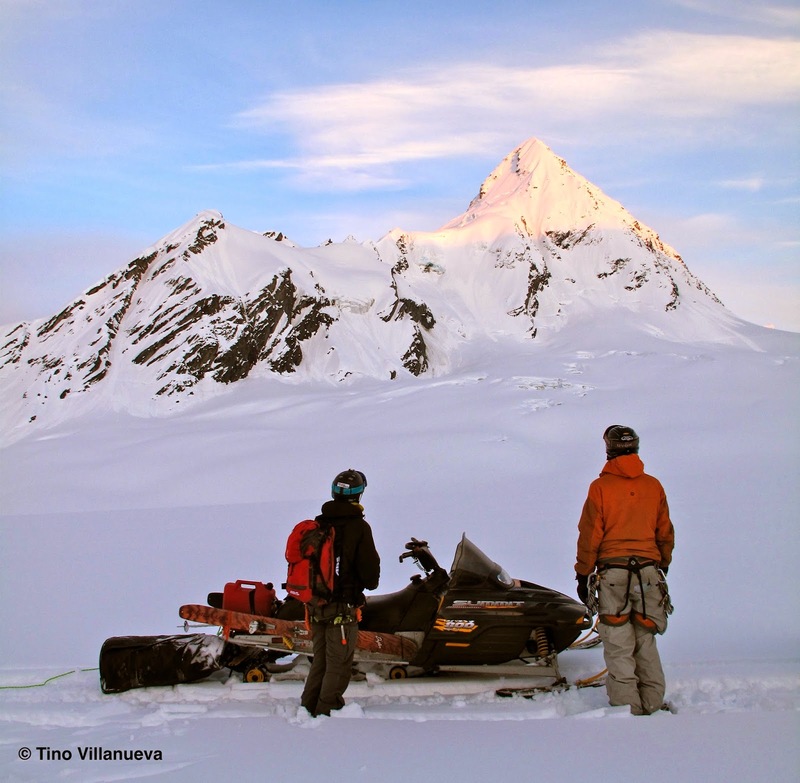 These types of adventures, trying new things, exploring uncharted territory, are often as much a journey in one's own mind as a journey around the world and through the mountains. On this journey, I was overwhelmed with feelings of smallness, exposure, doubt, deprivation and fear. 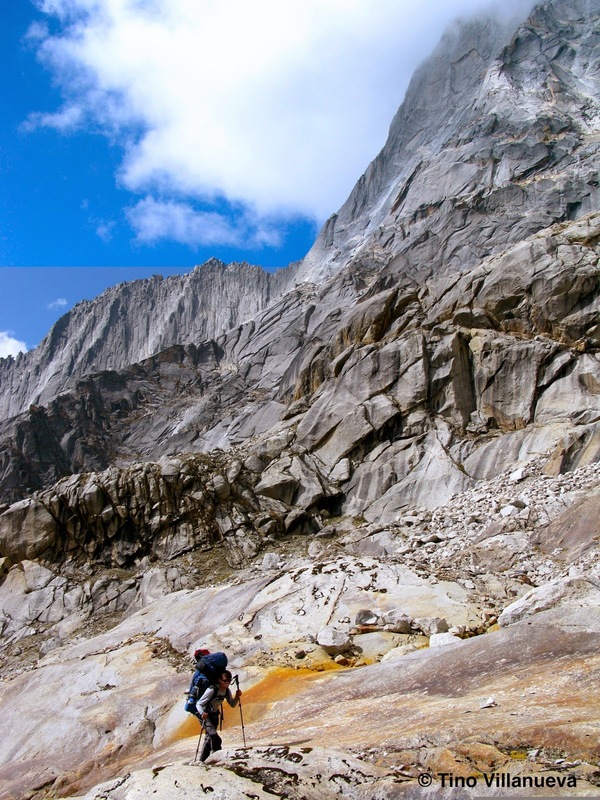 Our proposed route was continually raked with rockfall, falling, depending on the camp, either thousands of feet past our camp on top of a protected moraine or directly over our heads while camped under the relative protection of a tall bergshrund wall. After we pulled the plug on Siguniang I was able to take some time to recharge my psyche. Fortunately, I met a kind Chinese couple on a bus to the Gongga Region. They were vacationing and took pity on my lack of any Chinese language skill and welcomed me as a travel companion for a few days. 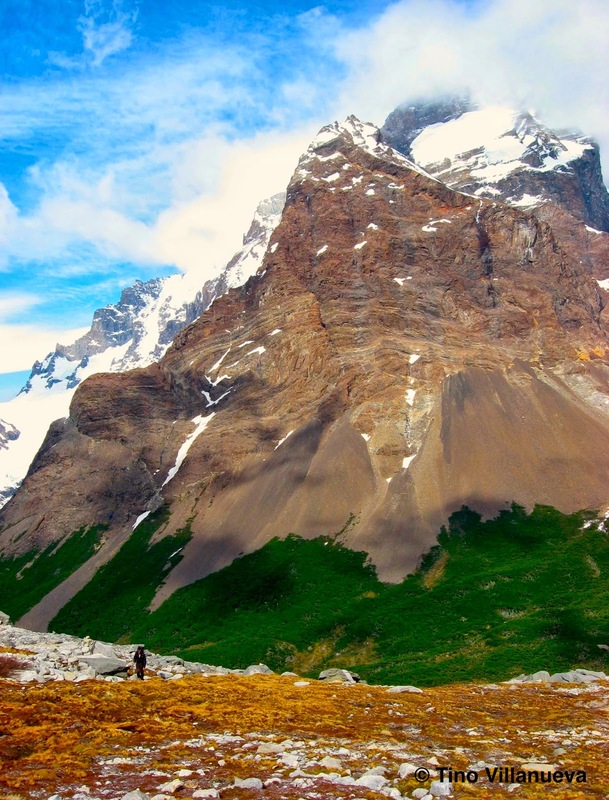 Rob Schiesser below Paine Grande in the Torres del Paine. Though the path is often uncomfortable, it is one worth taking. 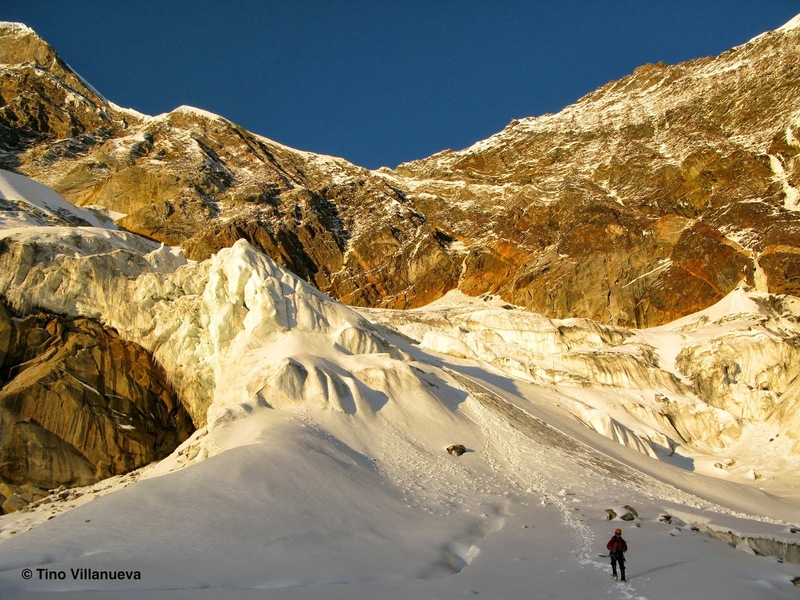 Climbing may appear a frivolous activity, pitting one's self against a mountain, against nature. We do not challenge nature, we know we will lose that battle every time. We instead challenge ourselves. These trials are truly a battle against yourself, your own mind. It is an exploration of one's own ability as a human; to endure under hardship and the unknown. 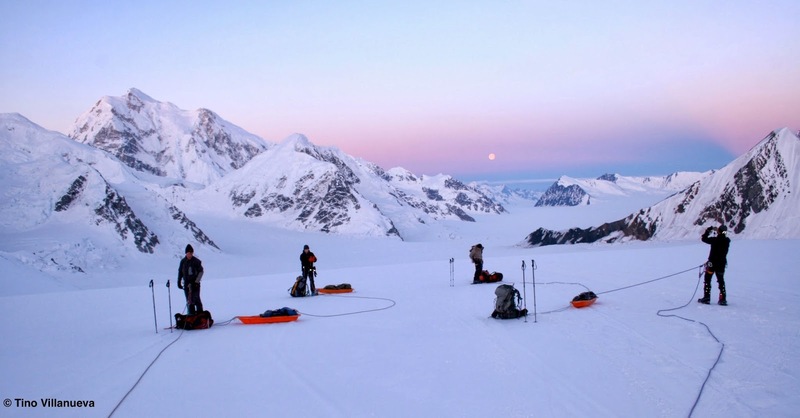 Challenging yourself in such a way allows you to explore places you never thought possible, whether that be spending the night on a glacier, on the side of a cliff or simply someplace new. The friendships forged under these pressures are strengthened and cemented into brotherhood. Venturing out, companions at our side, allows us to take on more challenge, endure more, endeavor further. That camaraderie allows us to push each other further than otherwise possible, further than we believe possible. I look forward to another year of sharing the mountains with my comrades and learning more about myself, my abilities and my place in the world. 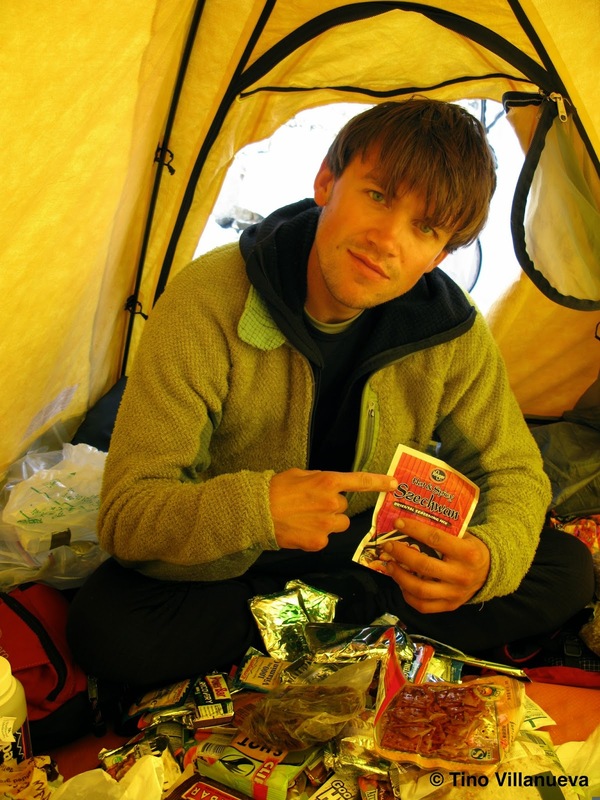 Dave Campbell pointing out American "Szechwan" spices, while us Americans go alpine climbing in Sichuan, China.